Osteoma of EAC is a rare tumour. Cholesteatoma of EAC associated with osteoma is consequence of osteoma of EAC. Its incidence is rare and very few cases have been reported in the literature. 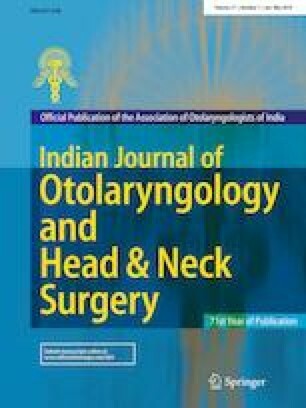 Its association with exuberant granulation tissue in the mastoid air cell system without extension of Cholesteatoma into middle ear cleft is even rare. This association has been reported for the first time as evident from review of literature. Ethical approval was approved by institutional authority, C.S. Amravati. This article does contain any studies with human or animals. Informed consent was taken from patient before sending this article to the journal.